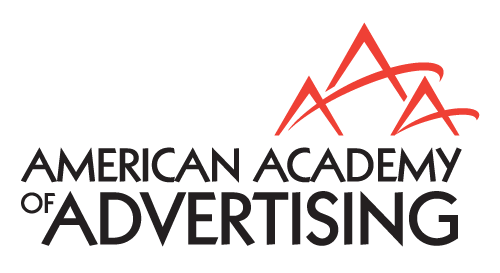 This journal is owned and published by the American Academy of Advertising, and AAA Members in good standing receive this journal as a Member benefit. The Journal publishes three issues per year (from 2019). The Journal of Interactive Advertising (JIAD) is a peer-reviewed international journal which aims to promote knowledge related to the field of interactive advertising and communication in the rapidly expanding networked world. JIAD is dedicated to publishing high-quality original research focusing on advertising using interactive means, including both online and offline, to promote mutual actions among consumers, messages and brands. Any original research related to all types of interactive advertising will be considered for publication. This includes all aspects of interactive advertising: the roles of interactivity on advertising effectiveness, interactive advertising in global and multi-cultural settings, data analytics and methodological issues, along with more macro aspects such as economic and social impacts of interactive advertising. Manuscripts submitted to JIAD undergo editorial screening and a rigorous double-blind peer review process. Please visit JIAD website for more information about the Journal. Queries regarding the fit of a manuscript with the scope of the Journal may be sent to the editor by e-mail. Access to the Journal of Interactive Advertising is one of the many benefits available to members. To access, log in and click here.